Zoopla sailed into the attack against OnTheMarket for a second successive day. It accused OTM of apparently deliberately engaging in a campaign of misinformation about its own traffic and that to other sites. Zoopla called for OTM to “come clean”. OTM responded by accusing Zoopla of using “desperate smear tactics”. It also said it was taking “extremely seriously” the suggestion that it was deliberately misinforming agents – raising the possibility that the hostility between the two sites could go legal. Yesterday Zoopla produced data from another web audience monitoring firm, comScore. On Monday, it sent journalists information from Hitwise, claiming that OTM’s traffic in February averaged under 38,000 each day, compared with over 1.25m daily for Zoopla and 2.4m per day for Rightmove. Yesterday Zoopla returned to the fray, saying that the comScore data also showed OTM failing to gain traction. “The latest data from independent web audience monitoring firm comScore reveals that total ‘unique visitors’ to OnTheMarket (OTM) during February were only 439k, well below the figures claimed in recent communications. “The number of visits (non-unique) to OTM in February averaged 38k per day according to comScore, which puts their data in line with that already reported by Hitwise and confirms that OTM is so far struggling to gain any real traction and market share with consumers. “OTM appears to be deliberately engaging in a campaign of misinformation to its members and the market both about their own traffic figures and the volume of listings on competitive websites. “The traffic numbers speak for themselves and Zoopla’s listing numbers have been available publicly on its website homepage for the past five years and show over 820k properties listed today. “Lawrence Hall of ZPG said: ‘OTM continues to make unsubstantiated and misleading claims about its traffic but its members are easily able to track their enquiries and performance and we urge them to do so. “Despite recent attempts to rubbish independent data sources like Hitwise and comScore, these are widely recognised by advertisers worldwide as the most reliable indicators of audience. “We believe that OTM will need to come clean to its members about its ability to realistically challenge and replace the exposure of the leading portals that it has asked them to give up. “We are not surprised by the traffic figures from comScore or Hitwise given that the OTM marketing campaign to date appears to be heavily tilted towards the niche, top-end of the market with ads in national broadsheets and magazines like Country Life. “The figures being quoted by Zoopla Property Group with regard to traffic levels at OnTheMarket.com are entirely inaccurate. “We stand by every figure we have previously stated and there is no question that less than six weeks after our launch, on March 6 and 7, we passed the mark of two million unique visitors to the website. We regard the allegation that we are ‘deliberately engaging in a campaign of misinformation’ to our members and the market extremely seriously. “These latest inaccurate traffic figures are simply the latest instalment of Zoopla’s desperate smear campaign against OnTheMarket.com. 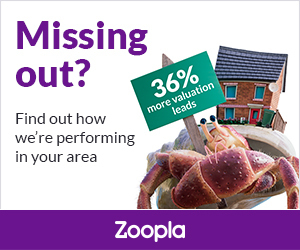 Zoopla is trying to intimidate agents who have chosen to remove all of their properties and their corresponding advertising expenditure from Zoopla to list with OnTheMarket.com because so far around 90% of our members have left them. “Zoopla has previously claimed OnTheMarket.com would not never get off the ground, then it presumed it would not raise enough money, nor launch on time. “They suggested the website would not be good enough and agents would not respect our one other portal rule but we have proved them wrong on all counts and we remain confident in becoming the number two portal by January 2016 because our membership base and our traffic levels are increasing. “They also claim we are targeting the high-end market but our multi-million pound advertising campaign has been widespread across TV, print and pay-per-click. “With every smear tactic used, it is clear just how out of touch Zoopla has become with the commitment of our 4,800-plus member agents to create a superior market-leading, mutually-run, property portal. So you’re telling us that Zoopla thought you would get off the ground? Looks like Zoopla have got their hand glued to the self destruct button & can’t take it off! Not the whole of Zoopla Paul, I would suggest one person is in the frame and is fighting for their job. H.R will probably have already signed the purchase order for gardening gloves! Paul/Robert – wouldn’t expect anything else from you. I was at a local meeting last night and the atmosphere was pretty hostile – those who feel they have been misled into going into OTM are starting to feel pretty cross. The three of us who (sensibly) stuck away, could barely contain our smugness! OH PLEASE HarryN – You are seriously telling me you have OTM agents who have after such a short time decided they have been misled! Tell me, what did these people say they felt was misleading: What information, sales trick, or feature had them sign up pre 26th January which had them last night say “we were mislead”. and you are saying you went to a meeting of OTM unhappy agents? Is this a regular meeting you go to every (however long) and last night OTM was on the agenda? I assume the OTM agents did not hold a special meeting about OTM and their discontent and invite the non OTM agents along IF they were so unhappy JUST so you could have a laugh. Dangly man parts springs to mind! I completely agree Ric, HarryN is trying to have us believe that is a room full of competitors knowing there were three supposed agents there not with OTM, that they would all be sat there saying what a mistake they had made……This sounds to me like something they dream about in Z headquarters, before going off to see Kylie in their box at the O2. Yep! It for me was the most obvious “let the mask drop” comment ever made. Take everything HarryN says with a pinch of Z…. I have however invited my competitors to our next Directors Meeting, we are going to start with new ideas to gain more business and then talk about our banking etc. Ros, please can you ask each of them; 38,000, 1,250,000 and 2,400,000 what every day? What does it mean.? The man from Zoopla hits and runs every morning when I ask the question so how about, you emailing each of these bun fight schoolboys and ask them exactly how the size of their conkers actually relates to anything meaningful in our industry. 876,000,000 million for Rightmove , 456,000,000 for Zoopla and 1,390,000 for OTM is an awful lot of claimed somethings running around looking at property web sites, yet seemingly no-one knows who or what they are. They are obviously very precious because as far as I can see at least one executive’s career is resting on winning this no win battle. Whoever is behind this salvo probably ought to be polishing their Linkedin profile and schmoozing their connections outside the property/ portal industry. Err, I can explain it Robert. OTM have 3% of Zoopla’s audience, and 1.5% of Rightmove’s audience. Sorry Harry you have not explained, you haven’t answered my ‘beggars belief’ question yet either. How many of Zoopla’s claimed audience resulted in a fee being paid to the Agent who paid Zoopla? Same question re Rightmove? Here is the thing, if AM were switched on near on 93% of the OTM audience would result in a fee being paid back to the AM member agents. Mate , I am the little boy in the crowd shouting the King is in the altogether. It is up to you to convince me he is wearing the finest robe I have ever seen. From where I am standing both main portals and their supporting entourage are stood their in their pants and vest right now. Zoopla dealing in the kind of facts that make OTM commentators very uncomfortable. Real ones. Also, this is all getting rather tedious. Facts? these might be numbers but because they do not correlate in any known way to transactions they are not facts. If you can show me how visits, hits and time on site correspond to Sold or Let slips on Agents’ boards I will accept these numbers as facts. They are facts, becuase they are sourced from an internationally recognised body. One that is used throughout the world to measure traffic. These figures are then used to value the proposition. These are, whether they suit your rhetoric or not, facts. Hitwise & Comscore are the two industry standardised measures. Zoopla HAVE to report fact as they are a PLC. They would face significant legal challenge if they started to fudge figures. Consumers visit them to browse, research, educate themselves, use tools. Essentially spend their leisure time on them. This is HUGELY important, as like Disney Land, if they are there, they’ll spend money. This is what RM & Z have spent their whole existence trying to achieve and what 1000’s of newcomers find very difficult & expensive and mostly elusive. It’s rare that consumers become so ingrained in a behaviour – the strength of the two portals summed up. As you know far more about this than me, How many hits are there per completed sale, how many per letting? The fact the numbers come from someone who counts numbers does not suddenly allow them to be used in an agent’s KPI calculations. The numbers are demonstrably inversely proportional and from a marketing perspective that is not good. In 2012 168 million equalled 105,000 sales and about 900,000 new tenancies. Sorry bit missing 1.25 million new/renewed tenancies. Hi Robert,why are you pushing the numbers in terms of hits, that’s a websites job. Rightmove and Zoopla both list for me telephone calls, their numbers the time they rung and even record it. Same with emails so I can measure demostrably how much it costs to speak with a human being , purchaser etc . If it now takes a portal 1.3 billion hits to get me leads (which have also gone up two fold since 2012,just checked ) then the answer from me is couldn’t give two tosses , it’s not my problem …. Why am I pushing numbers? I am not I am simply responding to the gufferage pumped out by portals to justify their very inefficient existence. There is an awful lot of nonsense being swallowed by agents some of whom are really paying through the nose for subscriptions based on hits, page views and time on site. 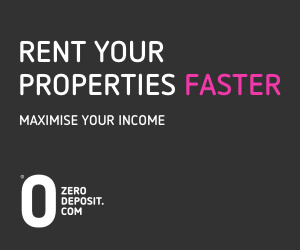 That is the whole reason for this OTM counter story from Zoopla. Ok, I’ll put in another way, I have 5 branches , Rightmove average over a quarter 170 leads a branch and cost £800 , Zoopla 110 leads a branch and cost £310 a branch. OTM would be about the same as Zoopla , looking at combination of numbers you like they won’t send me the same amount of leads …. 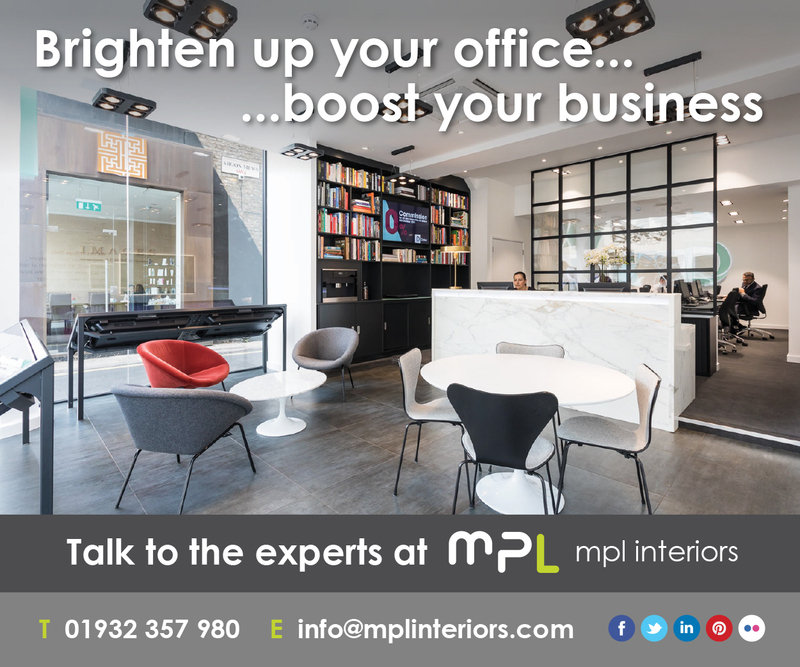 Have I got this correct you get 170 leads per quarter ( 3 months) into 5 offices at a cost of £800? Perhaps it is £800/office per month…. £185/ office per week so each lead costs you £70.73? That is a big difference given usual KPI’s require 50 applicants to get 8 viewings to get 1 sale. Each sale is either costing you £235.50 or it is costing you £3536.50. The reason I bang on about figures is keeping control of marketing spend. The fact you have mixed total quarterly leads, across multiple branches with a single office subscription suggests you probably aren’t paying very close attention to basic performance indicators. If £800 is buying offices weeks subscription you are getting a stonking deal, I suspect the total cost is £12,000? Thank you Danny! at last there is some clarity and a meaningful measure of the cost per sale for each of the portals! Your £800/ branch certainly puts a monthly bill of £1390 ( no lettings) from Rightmove into perspective for a single branch office near to me. I have had a call in with the RM rep now since the beginning of the month, it seems they don’t want to discuss that ! What is your viewing to completion ration Danny? The normal good average is 8 viewings per completion. The figures you have quoted are cost per viewing, it follows that you have now to multiply by your V-C ratio to get a cost per completion lead. That would suggest ball park £900 for a Rightmove lead sale and £800 for Zoopla. Where I take issue with portal advertising (any of them) is that as was being discussed with UKPropmaster. the portal’s brand comes before your own and that is the trick I think AM have missed. There is no question that less than two weeks after I bought these new shoes, they have surpassed the mark of 7,475,000 unique viewers as I roam the streets! Going by Springett’s comments the two largest INDEPENDANT website companies are providing inaccurate data, Zoopla are telling lies or he’s hiding the numbers. We all know that it will take years to build an audience so why can’t he provide the actual data. So tell me Chrispy, you’re not on OTM, have no intention or can’t go on it, they are not a public listed company so you don’t have shares in it, so it begs the question, why are you even concerned with what data comes from them?! Maybe because Springett is fudging the numbers to mislead both existing members and any other gullible agents who swallow his BS. All people invloved in the industry are free to comment given the big promises and assurances that Springett made. He can’t expect to retain credibility without data sourced from a recognised online industry metric, and is looking more stupid by the minute. And is’t it fascinating that all those who came on this site and ridiculed us for joining OTM are now championing themselves as our defenders. Wow I really owe you truthbetold, thank you so much……. Danny, spot on, I heard he got the figures from a lottery ticket. I heard he got them by listening to Sgt Pepper backwards. Goodness me Zoopla have got themselves in such a pickle. It’s fascinating that Righmove don’t seem to feel the need to go on the attack of OTM day after day and yet Z do. So please someone dare say that this is not just desperate propaganda from a crumbling regime!! oh deary me – I just remain amazed that if some of the people posting on here are genuine estate agency business owners, how they can be so intent or delighted in the thought OTM should fail. I get not everyone has to support the cause but it just makes you wonder (and everyone must agree) how can any genuine EA business owner not support the concept of having the number 1 national property portal agent owned. 1. Have an Agent owned Number 1 National Portal. FACT is both RM & Z will eventually end up with unbelievable fee levels. (they are well worth the money still at the moment) but forget “if it is worth it in the future, I will pay it” unless property prices increase beyond belief, transaction volumes increase and your fees increase coupled with the desire “to pay more” becomes the public norm, the RM/Z future increases WILL eat away at future profits in a big way. Wait for the next property crash!! I get we all have to pay more as time goes on, but who here is raising their fee’s 5% to 10% per year and yes prices have risen; but how many have had to drop fee’s to get in line with the online only or the desperate agent down the road…. so we are not earning any more even though prices have risen, in fact we are achieving more than ever for our clients and getting paid less most of the time. I guess everyone has seen the Beenhead advert she pretty much advertises OTM in the way she makes a point of promoting RM/Z. Ric – there are plenty of us that think that OTM is a crazy idea that ultimately will make Rightmove stronger (in fact, it already has – seen their share price recently?!). This costs me and puts my business in a weaker position so I feel pretty entitled to speak out against it. I am getting sick and tired of those who are anti-OTM being branded anti-estate agency. History will show that those who got involved in this hair-brained scheme have hurt, rather than helped the industry. That is part of the reason why the Easyproperties of the world are finding it so easy to raise funds at the moment. The truth is that you are playing in and speculating on an industry (digital marketing) that you know very little – if anything – about. A bunch of agents like you jumping around pretending that the Great Awakening is coming is neither realistic or productive. As such, don’t be surprised that those who have taken the rational line take some enjoyment in pointing out your wrong-thinking. Talk about a complete contradiction. You start of by saying you are entitled to speak out as OTM makes your business weaker (?!) but of course forgetting while doing so that ANYONE could have started another portal, this one just happens to be well supported from the off. So that was your first stupid comment. You then finish off by saying you are revelling in others wrong-thinking. What forgotten about the damage is supposedly done to your business have you EH?! History will show agents had a chance and couldn’t put the ball in the back of the net. If tomorrow the remaining agents that were able to join, did, then that would be it. No more talking. The problem is most people put obstacles in their way and give themselves a reason not to do something. History might show RM & Zoopla going direct, banning agents and agents then having no site at all. Ponting out wrong thinking doesn’t make you right, if your thinking is wrong in the first place, but that’s the problem with a point of view! Failure of OTM will not because its a flawed idea or that it couldn’t get hits in the first 7 weeks, it will be because agents did not support it. Much the same if agents hadn’t supported RM & Zoopla, they would not have had a business and would not have been a success. I find it strange people are happy to support these businesses yet, given the chance to support a site owned by agents, can’t do it? I said yesterday that people have gone through recessions and survived, yet can’t see themselves surviving if they drop a portal? Madness. If you think your business will be damaged or you won’t be able to do more business by dropping a portal, then I respectfully suggest that your business is already missing opportunities and missing out on sales and let’s. Some will counter we are doing very well thank you, year on year increase etc etc, but any good business should focus on what they are not doing and why. People will make their way to you, you don’t need two portals. P.s. As you are an easy fan, how many of their claims have been met so far? Maybe as you like to point out how we don’t know about digital marketing, they don’t know anything anout agency. are you only on OTM then Paul? That’s not worth a detailed reply as you know the strategy and the process we will go through. OTM isn’t RM and it isn’t Zoopla yet either!! Paul, the biggest obstacle to joining OTM is OTM. The one portal only rule is flawed in my opinion. There are other obstacles in my case such as where the advertising budget is being spent. We also had Zoopla FREE OF CHARGE for at least 3 years whilst it established/proved itself. It was win/win for us. This is not the case with OTM. I truly hope OTM succeeds as currently it has only harmed the only other viable competition to RM. If it fails no doubt another would take its place or Z may be able to recover? But that would again take time. There should always be an alternative and this should have been it. Hi B6RKY, it’s supposed to harm Zoopla, that’s the point. It’s hard enough trying to get people to drop the no.2 portal, let alone the no 1. What is happening now is exactly as expected, no surprises, but people want to justify their decisions , so use anything they can to do that. If OTM fails or another takes its place, I and many others won’t be joining them as we don’t need to. I’ve said before, I don’t need OTM to succeed, I just want it to. Portals don’t sell houses, people do. What I posted above you have not answered as a EA business owner!! Would you prefer 1 or 2. So RM will continue to grow anyway over the next 5 years nothing to do with OTM, but hopefully in 5 years (or before would be nice) we will have a viable second option to make the only option OR indeed have RM say, “we need to temper our increases now” as we clearly have a competitor which is backed by people a touch more powerful than the Z backers!…. ie if everyone decides to ditch us, we have no business. I confirm, I quite like the RM product, less so of late with certain features, but would I like my option 1 as above one day YES so I am putting my money where my mouth is! YOU perhaps should buy a stack of shares in RM as if you are right and you think you are and I am wrong, then win win for EHenderson? Do you own RM shares EHenderson and if not why not? It would make sense to buy them surely? 1. You may as well say ‘Have George Clooney as my cleaner’. Its a lovely thought, but it isn’t going to happen. OTM getting to market leader is such an unrealistic prospect and I am concerned for you that you could think it possible. The pockets aren’t deep enough and as much as Ian Springett is a persuasive chap he won’t deliver. Oh, and yes I do own shares in the major portals. They give me precisely the level of control that you have of OTM (i.e. none) and give me a materially better return (i.e. something). History will show that you have taken a bad strategic position here, although I understand why you have taken it. The ONLY reason we will not have a Number 1 portal owned by agents is simple – Agents!!! Nothing more nothing less. You wouldn’t even need a national advertising budget IF the below happened!!! Deep pockets are needed at the moment as we are bizarrely fighting each other in this. The digi/tech brigade on here are right to say OTM need some strong marketing tactics and money to win this SEO and traffic battle whilst the other sites have more property BUT I am sure they too would agree, if Z / RM only had corp agents and EVERY indep was on OTM only, then OTM would be number one within months. So perhaps the “no other portal rule” should have applied but small steps and who would have sacked both for OTM…. I wouldn’t have. Question. There are estate agents based online with no high street office, but are fully qualified and working estate agents. So why are these excluded from agents mutual??? Mutual, perhaps agents biast is more fitting. yeh great idea, were you in the same meeting as HarryN last night? We need to vet the invites closer, you know far too much. Desperate times for Zoopla call for desperate measures. Apart from all this slagging off of OTM how many agents are aware of the fact that Z are writing to THEIR landlords using THEIR data recommending that they “consider appointing at least one other agent to ensure you are not missing out on a large part of the audience currently searching for properties in your area”. This is a flagrant breach of trust and one of the reasons we embraced the OTM initiative a year ago. We felt it would only be a matter of time before Z (and RM) would use our own data to stab us in the back – or become online agents themselves ! Hang on a second marcH – what bond of trust does Zoopla have with you and your business if you have chosen not to advertise with them? Are they some sort of industry charity?! I actually quite like the letters they are sending as we have picked up a couple of instructions as a result. It seems pretty rich to me that you can join a competitive portal whose stated aim is to put them out of business and then start bleating that they are marketing to your clients! How about because they haven’t just picked on agents they were never with Zoopla they have targeted agents that had been with them therefore ex clients! And of course despite their denial, its still debatable where they got the addresses from because I somehow doubt it was market research, more like database mining! Our database! Sorry, how is that different? I still can’t understand why Zoopla continue, every day, to attack a website that launched 7 weeks ago? If OTM is really as rubbish/woeful as they say it is why continue to repeatedly attack it in isolation (they don’t attack any other portal). Are there any anti OTM or pro Z on this site that think Z will attract a load of new/renewed business from these actions-after all new membership is what they really need..isn’t it? Think the answer to that should be pretty obvious. They aren’t worried about OTM rising to #2 and taking them over on the strength of its offering–they are worried about OTM hurting their relative competitiveness against Rightmove as they lose agents! ukpropmaster…..Fair point, but surely the logical business response would be to target those on OTM and RM and try and win their business from Rightmove? I’ve said many times that I would consider Z if they had the right offering. But not advertising on tv and spending all their time and effort attacking a smaller portal isn’t going to win them more public traffic or agent business…. is it ? Definitely agree that taking OTM/RM customers away from RM could be another possible strategy for them to pursue, but with Springett out there telling his loyal followers that the path to victory consists of step one destroying Zoopla, what could they realistically offer to get agents to ditch RM for them? At the end of the day, they are a plc so it’s not like they are going to offer you a year for free! “it’s not like they are going to offer you a year for free!”…No, but £250 (OTMs target fee per branch) for 3 years would have been a definite yes for me-and most others. They insisted on a sizeable annual increase if I stayed….that wasn’t enticing in the circumstances. If they offered OTM members £250.00/£300 per month for 3 years commitment they could have kept income circa £15million p/a and also had a good chance of damaging RM. Do you not think (albeit with hindsight) that this would have been a better strategy-or a new strategy to adopt? OTM are clearly telling porkies. Zoopla is perhaps being a responsible business in bringing this to the industries attention. 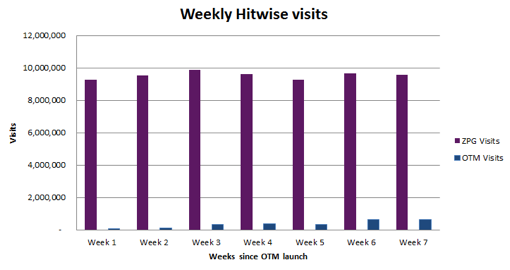 The question I would ask, is OTM, please can you comment on Hitwise and comScore figures? And tell these two internationally respected data companies figures, how there figures are incorrect. Detailed please. Zoopla still thinking they are an important part of the UK Estate Agency Industry? Zoopla nor Rightmove have ever sold 1 of my clients properties since they both started portal advertising. Thankfully my business does the estate agency work. 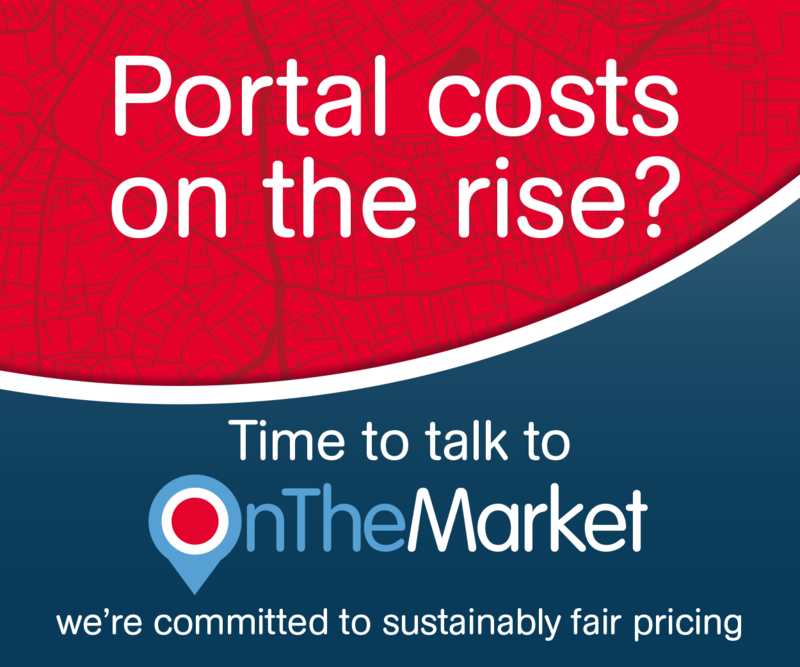 Roll-on with OnTheMarket.com attaining No1 portal so we can rid ourselves of this bloated self-interested Duopoly… they are becoming more poisonous by the day. Zoopla clearly think they play a big part in our industry, forgive me, your company is just an Online Billboard for advertising… seems you have forgotten that you provide our industry with a service… we don’t work for you… unlike some of the spineless individuals posting on here to try and shore up their crumbling Zoopla employer. Zoopla is Officially an Embarrassment! Dinosaur – soon to be extinct !!! OTM is a group of the old boys trying to start a select, anti competitive and therefore probably illegal club; it offends me, as it should any progressive modern manager or business owner. But good news for the good guys !!! Your rants are fine at the moment GPL, but as the months progress and OTM increasingly is proven to be the flop it already is and Zoopla/RM (especially the latter) continue unabated, you will increasingly look like the luddite you are. A flop?! What planet are you on???! Who grades whether a new venture is a flop after 2 months?!! Who suggests that attracting nearly 5000 offices across the UK isn’t a huge success and if you need further evidence of that look at every single press release that Z put out! I encourage healthy debate but not stupid comments like this. Blar blar, goodbye rightmove, goodbye zoopla, goodbye emove… Clueless, absolutly clueless. RM/Z online bill boards, so create another bill board then, oh AM! There you have. God, give me strength. Agents do not sell properties, a person sells there property, another purchases it. An agent does the running in the middle, and yes uses billboards as part of these. Go RM, go Zoopla, go EasyProperty, eMove, friendly competition. You guys have certainly turned my opinion on agents attitudes…. Perhaps not! Has there ever been anything that has divided opinion in estate agency in history more than this? I think what is obvious is Z is worried hence all the press releases and also OTM is fudging figures (having certain press favour them) as they still have not said where their hits are coming from. Both of these have to be expected as they are businesses looking to grow membership. As i have said before with such a ‘Marmite’ product and camps now decided, how do OTM attract more agents?? As a previous fence sitter i now have one foot on the Zoopla side of the fence. Until i see more agents signing up and more talk about agents pulling away from RM i think i will stay there. “As a previous fence sitter i now have one foot on the Zoopla side of the fence.”….Just to confirm that this week’s press releases from Zoopla have prompted you to put one side of the fence with them? As i mention above i think the majority of agents that will sign up to OTM have and i still see no real threat to RM. If i see a move of the industry to OTM and more talk or specifically agents moving from RM i will look at changing my opinion. I was just curious to know how your thoughts have changed this week, especially as a report on Monday by Home.co.uk claimed that there was now 4923 agents meaning the numbers have grown and are growing? “If i see a move of the industry to OTM and more talk or specifically agents moving from RM i will look at changing my opinion”…Oh I doubt that anyone who joins OTM will be dropping RM right now, Zoopla have hands down put themselves forward for the chopping block. Nothing in the press has made me change my mind as such but from talking with agents, looking at comments on forums such as this, it has emphasised that there are now two camps. The pro camp are very pro, the anti camp are very anti and i am not sure there are many fence sitters left. So i by default i have a foot on Z’s side of the fence as i have no intention of joining OTM in the foreseeable future and i am currently advertising with them (along with RM). the answer is WITH YOUR SUPPORT and the SUPPORT of the OTHER FENCE SITTERS… otherwise it will fail. So one day will it be, what a shame that great idea did not work, I wish I had supported it. Such a shame really as I posted above, what is not to like about the thought of having our industry own the number 1 national portal. 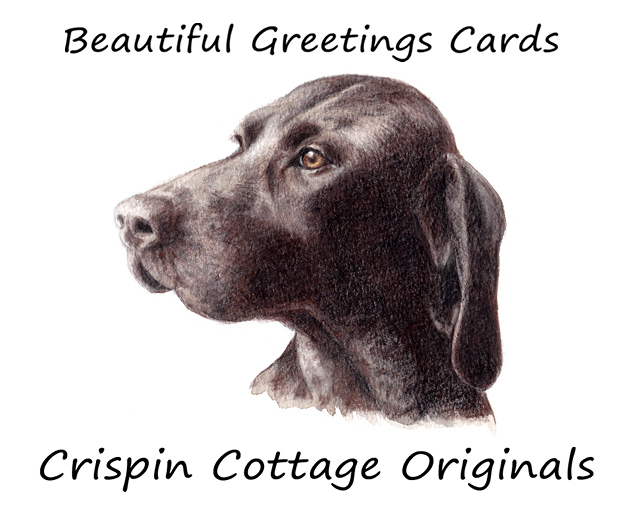 Answers on a post card! I could support but i would be at the cost of my local market share. I like it Ric, but i dont believe agents will commit in significant enough numbers to make it work (ironically i add to the problem whilst not committing). “looking at comments on forums such as this, it has emphasised that there are now two camps.”….Well if your basing your decision on some of the ‘so called’ agency owners on here then your definately gonna get a swewed outcome! And of course to pro bag like yourself Paul! Really Smile? You think its going to cost you market share being on the number 1 portal in your area and dropping the number 2? You could not bother at all with replacing no 2 with OTM and still would be able to hold your own. Joining OTM wasn’t meant to replace Zoopla or keep / increase the exposure of my company, it was done to remove inventory from Zoopla. The one thing that this whole thing has done, is confirm the view of many, that being on all portals is not necessary. Those that held that view have had no issue in signing up, those that have not still believe it is necessary to be on both. So tired of this silly argument. No one is saying it is necessary to be on all portals. It’s not necessary to own a computer either. But if it makes my life easier and the benefits outweigh the costs, I’m going to pay for one anyway. To Smile Please…I don’t think there are any fence sitters posting on this site. The fence sitters are the ones sitting there quietly watching & waiting to make their move, the others are those that would sell their mother to move up the Z100 list, Z shareholders or Phil Spencer lovers (tick where approproiate). Yet again somebody dares to speak out against OTM and they are hounded likes witches in the 14th Century. Guys get over it, not everybody believes in it! Paul H already suspect you of a OTM rep with your complete blind devotion to the cause! I just think OTM is a poor mans RM and they have very little chance toppling them. Just accept it that we don’t all believe in it! And there is no new argument or news to make a number of us to change our mind. Keep bleating on about how amazing it is but until you can convince others to join (which you are REALLY poor at) you will stay where you are, a contender to mouseprice, Home and if you are luck Zoopla. Hi smile, I thought I had posted a reply, but seems I may have forgot to hit the post comment button. Not that what I think of you should matter in the slightest BUT I admire you for admitting the irony of you adding to the problem. One of the few if not the only one who has been prepared to say this. I fear you will be right in the long run and that is the crying shame about this. The others will continue to say how flawed the whole concept is and some say how dare we want control. Not many will agree RM/Z and OTM need the agents more than the agents need the websites, as we all have our own websites anyway, so better still we could all drop all 3 and save even more dosh, BUT the public do need a one stop portal or perhaps 2 stops at the most, so there is a place for 1 or 2 of them. Fortunately I am not (and I am sure you are not either) struggling for a market share or to keep up with another agency. Protecting my market share is important, but OTM will not lose me any share based on my previous RM only stance. Neither Zoopla or OTM are using google analytics, but they must use another tool to measure their unique visitors. Why don´t they just realease their visitor figures openly (directly from their stats software) and see how they compare. Neither of them won´t do this since they are manipulating the figures to eachothers advantage. Then again the most important measure are leads not visitors, but anyway there is substantial correlation between number of visitors and leads, so it would be interesting to see how these 2 portals compare and what the growth is of OTM. HAREE NO NEED TO SHOUT! you said “and a business protection necessity”……..Great companies protect their businesses by increasing their customer care and increasing new business, and taking on their biggest rivals…….Not by nit picking continuously with “small fry” competitors, who are no threat. Shouldn’t Zoopla (as no.2 portal) still be trying to take on Rightmove, as this is where they can gain real new business, strength and company protection ??? How are they going to take on Rightmove when this particular “small fry” competitor seems intent on pestering them mercilessly (while ignoring Rightmove). ZPG vs. Rightmove was already David vs. Goliath, but now David’s got to contend with a couple pesky bees who keep following him around and stinging him, which makes it hard for him to focus on the real matter at hand! Sorry that was in response to wilko above. Not sure why it didn’t register as a reply. Well here is just 1 suggestion….If they were really keen on taking on Rightmove they need to win business off them….. I haven’t heard ANYTHING from them since. OTM proved that agents WILL switch portals, so why haven’t I heard from Zoopla with deals to woo me off RM and back to them-I and many others would have listened to their offerings as well? To EH – are you having a laugh? I’m complaining (not bleating) that – as an EX-client of Z – they are using MY data in order to make contact with MY landlords with some spurious claims about not being exposed to THEIR website ! I hardly think that’s me mistaking them for some kind of charity !! Once an agent resigns, Z and RM should do the decent thing and remove all the data provided by that particular agent. Why don’t you just join OTM and together with the nearly 5,000 of us ensure it’s a success for consumers, vendors, landlords and yes, agents. If Z is already adopting this kind of tactic not even 2 months after OTM’s launch, where can we expect Z to be in a year’s time ? I think I can guess. Marc, out of curiosity, why are you so convinced Zoopla is using the data you left with them to find your landlords? As they are targeting as well agents who never advertised with them, I find it more likely they are getting this data from other sources. Remember, who is listing what with whom is all in the public domain–all they have to do is go to OTM or RM to figure out what properties they are missing out on. I can’t comment on data they are using as that is for them to answer, but as a paying customer of Zoopla I am delighted that they are doing everything they can to push customers my way. It was your choice to go and join OTM – stop whinging about the consequences. Which software are you using MarcH? Gosh Harree quite a vociferous response there yourself with the Caps Lock on! I pay OTM and I don’t really care what the stats are for anyone else other than me and I can see my stats. But you’ve already publicly stated that you are not on OTM, in fact you’ve said that you are picking up business because of OTM, so tell me ….WHY DO YOU CARE WHAT THE FIGURES ARE???? RealAgent, let me counter with why don’t you care what the figures are? Two million unique visitors is simply not true. As a diehard AM supporter surely you want factual information on OTM visitor figures. Or are you happy to be spun a tale? Read what I wrote Harree, I KNOW what my figures are. But don’t answer a question with a question, I asked you: WHY DO YOU CARE?! RealAgent, I care because I’d like to know the facts. Not fairy stories. RealAgent, why can’t I answer a question with a question? However, having answered yours, you answer mine. Do you want accurate OTM unique visitor figures – backed by evidence? After all, Z have given independent industry accepted stats to back up their figures. No I want to know what response MY properties get, why would I care what everyone else has? But you didn’t answer my question: you’ve said you have no intention of doing OTM, you’ve said you are picking up loads of business because of it so why do you care whether they are issuing “fairy stories” or not? Just tell me? RealAgent , you say .. No I want to know what response MY properties get, why would I care what everyone else (on OTM) has? That’s like saying if the ship is sinking I couldn’t care because there’s no water in my cabin. I bet you’d be ecstatic if OTM’s figures were verified as booming beyond target and expectations … but you say you couldn’t care about Springett’s accuracy when independent respected sources say he is wrong? Have you heard of the word duplicity? And … I did answer your question thus “I care because I’d like to know the facts. Not fairy stories.” If it’s not an answer that satisfies you … tough. You do make me smile Harree; a ship is sinking two months after if left port?! wishful thinking I feel! 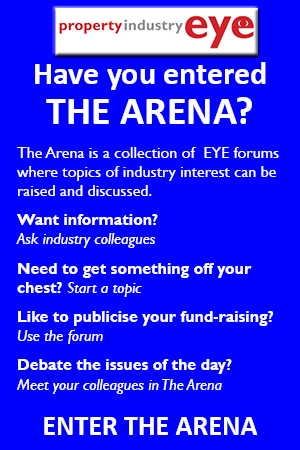 …..you didn’t respond to my question either about publishing stats, I’m interested surely you are too? 7/8 weeks in…. Zoopla’s having a Heart Attack!…. and Rightmove sit quietly watching their obedient No2 Portal filling its pants! Sorry, why are we talking Zoopla?…. oh, that’s right they are still trying to protect No2 spot. Even I as an OTM Supporter think it’s time to disengage with Zoopla as this is press ping pong with a business that is struggling for its portal life. And, why can’t I answer your question with a question. Having answered yours … you answer mine. Do you want to be given the facts on OTM visits – backed up by evidence? After all, Z have given independent industry accepted evidence to support there figures. Not bothered about site traffic 7 weeks in. Tell me something I don’t know, that would be better. Won’t rush back to Zoopla after this whatever way it goes. Same goes for a lot of agents. We can then leave the rest to use being on 2 websites as their USP! Unfortunately, we had to remove a comment this morning which removes the context for some of the later posts (10.55am onwards). It is an opportunity for a reminder of the usual etiquette – please direct your remarks at the story and the content of what other posters are saying, but please don’t use this forum for personal attacks. To ukpropmaster: quite simply, how else would Z have the details of landlords for whom we have only ever been sole agent? Or am I missing something ? You could well be missing something and I have a fair idea what! Ok Harree I have a proposition for you: I will publish details of one of the properties my firm is listing showing the RM stats compared to the OTM stats, if you will do the same with one of your listings quoting again the RM v Z stats. What do you say? Harree I have posted a question for you, sadly its posted it further up the page! The only thing these “statistics” are doing is causing agents to spend more time justifying their decision to join OTM or not. We aren’t the ones who need to be arguing about this, leave OTM and Zoopla to worry about it. I am not a business owner but a dedicated agent, striving to give clients a service they need. The more time we spend arguing about this, the less time we are spending making sure our current clients are getting the service they pay for and developing our own business. No matter who the dominant portal is, if you’re a reputable agent you’ll be on there. Let Zoopla and OTM have their he said, she said argument until the facts are proven. “Yet again somebody dares to speak out against OTM and they are hounded likes witches in the 14th Century. Jesus ****** wept, you don’t half get yourself carried away don’t you. Take a chill pill and calm down and get ready for tomorrow’s next kamazi installment from Zoopla. No Paul, Just really really tired of your bias ill-thought-out comments on OTM if anybody dares not commit. So many other posters are pro have a sensible and pragmatic outlook, you however spout utter nonsense. There are a number of posters that get a hard time on here (not myself) that get such a kicking for voicing their opinion for their dislike of OTM. You are far worse in the procamp – You actually come across paranoid and spiteful – Not a nice combination. If you truly are an agent (which i do not believe you are) your rapport building with clients must be abysmal. Feel free to copy and paste and add a really basic attack with no real comment. I am fed up with you posting and really cant be bothered any longer to reply to you. This is how it works, I give you a one line reply and you reply with 5 hate filled and childish sentences, here goes….. I don’t think your really a fence sitter……over to you, go. … other than Rightmove Share Price nearly £30 per share?… Zoopla?! £1.75?!!!! There’s a stat that shows Zoopla needs to ask itself what on earth it is doing… this way Mr Chesterman & Co… office keys please! Thank G@d OnTheMarket can bypass this stockmarket performance hype and deliver what our industry needs. Billions won’t save Rightmove however they csn enjoy their time in the spotlight… we make them, we break them. Thank G@d OnTheMarket can bypass this stockmarket performance hype and deliver what our industry needs. Billions won’t save Rightmove however they can enjoy their time in the spotlight… we make them, we break them. I think there’s one person watching, GPL – you. “What is your viewing to completion ration Danny? The normal good average is 8 viewings per completion. The figures you have quoted are cost per viewing, it follows that you have now to multiply by your V-C ratio to get a cost per completion lead. That would suggest ball park £900 for a Rightmove lead sale and £800 for Zoopla. Strange? new post gets posted 14 posts up not in date order? This is a test!